As the 2018 hurricane season gets underway, we are reminded of the importance of preparing for a hurricane before it hits. Even though Hurricane Irma has long passed, the effects she left behind are long-lasting for many of us. But as the saying goes, you can’t control the weather. 1. Review your insurance coverage. The time to review your insurance policy is before you have to file a claim. 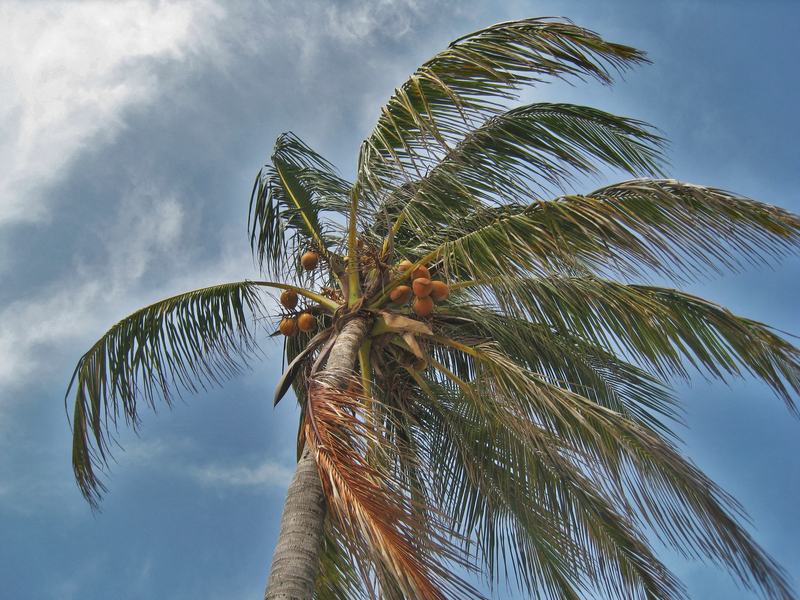 Contact your insurance company today to ensure you have the proper coverage in the event of a hurricane. 2. Trim trees. Broken limbs and fallen trees were a big reason behind widespread power outages during Irma. Fallen branches not only knock out power, they also damage roofs and dent cars. 3. Have a plan to prepare your home. Owners are advised to make provisions to secure their property. Your homeowner’s association is a good resource for shutter/plywood installer recommendations and Gulf Pointe Properties will also make every effort to have vendors accessible to assist with preparation, but we cannot guarantee their availability during a storm. 4. Have a disaster recovery plan in place. It is important to have a disaster recovery plan in place. That way, once a hurricane has passed the proper insurance and repair teams can more quickly assess the damage and begin working towards repair or replacement. Gulf Pointe Properties’ tenants are urged to immediately report any damage through the portal, including photos and video. 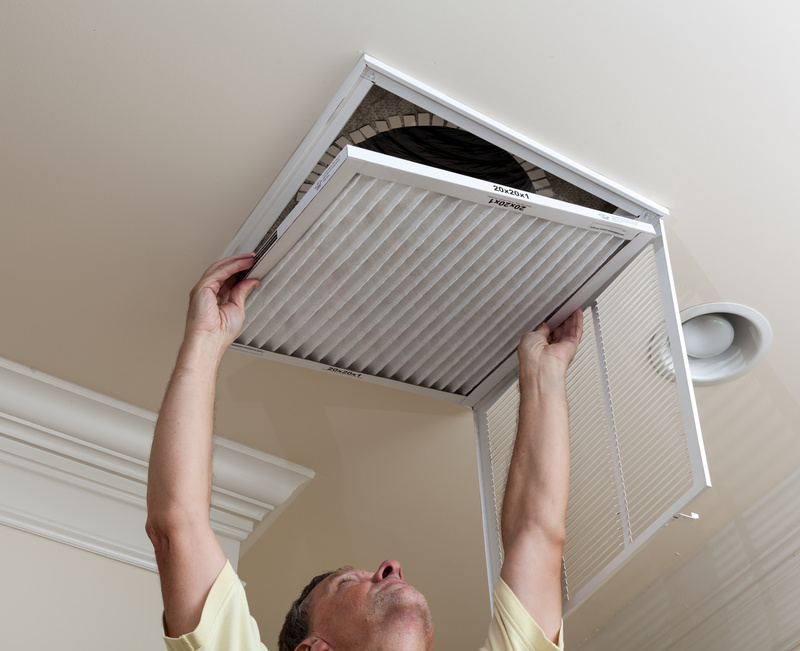 Spring is a good time to consider your homes AC system for a maintenance check-up! Air conditioners are no longer considered a luxury, they have become a fundamental necessity. Here in Florida we would be remiss if we did not end that with an Exclamation point!!! As property managers, when we get an air conditioning call we have no choice but to send a contractor out immediately. Routine maintenance is key to reducing overall expenses. If you do not have a regular maintenance contract currently we would urge you to do so. A twice a year check up can save those dreaded “midnight on Friday” calls from occurring. As you know we have organized a unique and very successful program of supplying filters and notifying tenants to change them every two months. This was instituted out of the realization that clogged filters are one of the biggest causes for failure. The other is clogged condensate pipes. Over time fungus grows in the pipes and the water passage becomes blocked and water blocks up. This is especially harmful in condos where damage to other units can occur. 1.) Consider a maintenance contract for your property. We are happy to assist you with alternatives and pricing. 2.) If you are not currently participating in our filter program sign on for the next anniversary date. 3.) Take advantage of a special offer we have procured from our preferred AC vendor. They are offering a complete maintenance check-up for $55.00. That is a $20.00 savings over their normal $75.00 fee. Call our office to discuss and/or schedule your service. 239-454-5156 ext #2. How do I log into my rental owner portal? Go to GulfPointeRentals.com and click “Landlord Login”. You will be prompted to enter your email address and password. If you are unable to locate the provided password and would like it reset, please email jodie@gulfpointeproperties.com or click forgot password. Once logged into your account, you will see an overview of your financials for the past 3 months. To access a different timeframe, simply select your desired timeframe from the dropdown box. If you have multiple properties, use the dropdown box to select another property. The Portal is your 24/7 access to anything related to your property. The portal allows you to view real time financial information, Owner Draw history, important documents, and even your entire maintenance history. Click on Rental Owner and/or Tasks at the top left to access this information. Did you know there are over 20 different reports available to you? Click on “Reports” located on the far right side of the screen and you will see your options. The most commonly used and most helpful report is the “rental owner statement.” This report will provide a breakdown of your income and expenses. TIP: When running your Rental Owner Statement, select the box “include transaction details”. This will provide you with every detail of every transaction recorded for your rental property. TIP: During tax season, many of our clients find the portal to be a valuable resource as they are able to provide their accountant with custom intuitive reports directly from their rental owner portal. Be sure to select “last year” to view data for the current tax year. Lastly, we’re excited to announce that you can now make contribution payments online. This will save you time and eliminate the need to mail checks! You are able to immediately send money for repairs and capital expenses through your online portal. Should we not have sufficient rental income funds to cover an expense, you will receive an email from us requesting funds. In that email, there will be a link to log into your portal. Once logged in, you will see a “Send funds” button on the far right side. See example below. Once you click “Send funds”, you will be prompted to submit your payment electronically via your checking/savings account or credit card. (please note, a 2.75% transaction fee does apply to credit card transactions) See example below. After you submit your contribution electronically, you will receive an email confirmation. New research from the American Apartment Owners Association (AAOA) shows that 4 out of 10 renters use a mobile device in their apartment search and more than half of renters consider mobile tools “essential”. This means, it has never been more important in our industry than NOW to offer a mobile-friendly marketing site that your properties are featured on. We recognize the importance of providing a better user experience and are pleased to announce our NEW RESPONSIVE WEBSITE. It sounds fancy, but the concept is quite simple. Our site automatically optimizes content to fit the screen size of any device (mobile phone, tablet, desktop, laptop), plus larger images can be flipped through in a mobile-friendly gallery. Prospective tenants can now EASILY search for rental properties, no matter where they are or what device they are using. These changes will make it easier for prospects and current tenants to navigate our site and we also stand to gain a competitive advantage, since mobile-friendly sites rank higher in Google search results. Our goal is to attract more tenants and promptly fill your rental properties with qualified tenants. Technology continues to have a positive impact on real estate. To keep tenants and prospects engaged with your property, it is a top priority for us to adapt and keep up with industry trends. We anticipate the roll-out of our new responsive website to play an important role in attracting and retaining solid tenants. Moving can be STRESSFUL! 6 Tips for a SUCCESSFUL Move. 1.) Get organized and do it early. Moving is never easy, but getting organized early with cleaning out the old “stuff” can help. Donations to your favorite charity really come into play here. My wife deserves 100% of the credit in the organization category. On top of caring for our 15 month old triplets, she had our family so organized to move, no one could believe it. 2.) Pack the fragile items yourself. Everyone has items that just can’t be broken. Pack and move these yourself. Even the most experienced movers break things from time to time. 3.) Hire (great) movers. If the pocket book allows, having at least a few extra (paid) hands and a truck goes a long way. If hiring is out of the question, solicit family & friends and be prepared to feed and hydrate them well. 4.) Start the transfer of address process a couple weeks prior to your move. 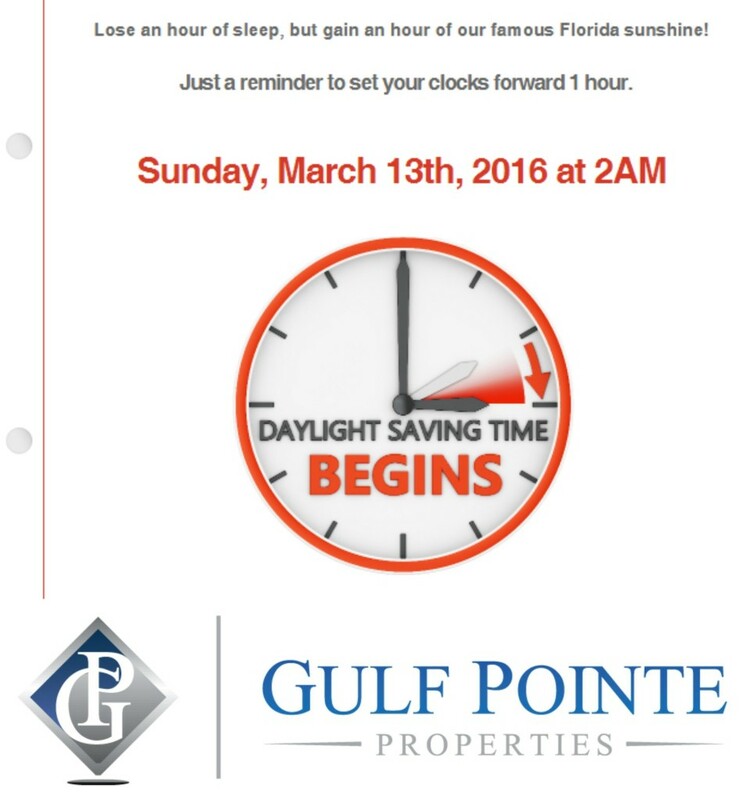 At Gulf Pointe Properties, we recently launched a service that will help facilitate your change of address. Everything from changing your mailing address, to address on credit cards, banks, magazine subscriptions, etc. This process now only takes a matter of 10 minutes with our new service. 5.) Prioritize. Once you get everything in to the new home, getting everything set up can be overwhelming. Whether it’s organizing closets, finishing remodel or hanging art work, everything takes time. We are the kind of people who do not like living in chaos, so having things incomplete is a challenge. Make a list and prioritize and everything will eventually get done. As the saying goes, Rome wasn’t built in a day. 6.) Enjoy the new home. In the hustle & bustle of a move, it’s easy to lose site of the big picture. You moved for a reason, now take a few moments to breathe and enjoy the new place. If you find yourself moving in the near future, hopefully these few tips help. I also have many great contacts in the service industry if you are ever in need of anything around the house. Let me know! As Haley transitions over to full time real estate sales with Gulf Pointe Properties, we are pleased to announce our new Property Manager and Leasing Specialist. 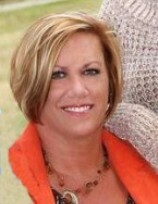 DeeAnn De Castris comes to us with over 10 years property management experience. As your new property manager she is committed to assisting you and your tenants in any way she can! Dee is a hard working individual who enjoys improving life for those who live in residential communities. She has extensive experience in liaising with landlords, tenants and vendors as a true professional. You can rely on Dee to ask tough questions and confront problems head on. We are excited to have Dee on board and are confident in her ability to provide the highest level of service to you. Please feel free to contact Dee at anytime. Season, as we know, is in full swing. Perfect 80 degree sunny days, spring training baseball underway, and jam packed roads and restaurants all mean good things for the Southwest Florida real estate market…or do they? Many of you have been asking me lately what I think about the market. Let’s dig into the facts. First, I want to show you a few important stats then go into detail about how to interpret them. Since we service all of Southwest Florida, these stats will be based on all residential properties in our MLS which includes both the Greater Naples and Greater Fort Myers markets. The level of inventory simply tells us if new homes stopped coming on the market and we maintained our current pace of sales, we would run out of inventory in 7-8 months from now. 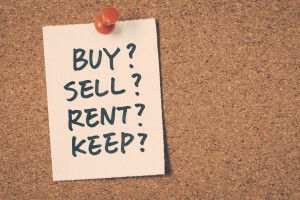 The general rule of thumb in the real estate industry is that 6 months of inventory signifies a relatively healthy, balanced market not significantly favoring buyers or sellers. For the first time in many years our level of inventory has increased above the 6 month time frame, which signifies more options on the market for buyers and ultimately more of a buyer’s market. That being said, let’s focus on the next number, MEDIAN PRICE. The median price of sold real estate in SWFL for February 2016 came in at $230k, which is significantly higher than February 2015 at just $205k. 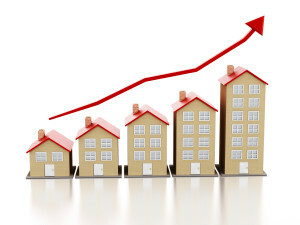 February over February, we experienced a 12% increase in median sales price. Still a far cry from the height of market 2005-2006 numbers which were over the $300k mark, but still a very strong increase from the previous year. Finally, and in my opinion most importantly, the # of transactions. 2016 started off with major losses in the stock market and caused a major pause in the market and a bit of anxiety about the overall economy. These scenarios in the market always have a direct impact on confidence and ultimately translates to affecting sales in the real estate market. February 2016 transactions came in at just 1,859 while February 2015 totalled 2,412. The number of transactions plummeted by nearly 23%. The market speaks louder than anyone. If you are considering selling in the near future, selling sooner rather than later would likely be in your best interest. If inventory continues to grow, we could see a slow down and ultimate reversal on pricing, which would be the first downturn in nearly 7 years for our market. Let me know if you would like me to run a market analysis on your property to see what has happened to your property value. Enjoy That Extra Hour of Sleep!